When I think of a cruise I imagine long warm days sailing through the Mediterranean sea sipping wine and meandering in flip flops through the cobbled streets of a Greek town. Or floating in the Caribbean with a rum cocktail exploring white sand beaches to the sound of steal drums. But cruising doesn’t have to be confined to the Southern hemisphere. What about all those awesome Scandinavian and Nordic countries we want to explore in style without hundreds of internal flights, changing hotel rooms and stress. Welcome to a Baltic Cruise. Recently I embarked on my first ever cruise with Princess Cruises and it wasn’t through the Med, oh no. We were sailing the Baltic sea and exploring loads of new countries and cities north of the equator – what a week of adventure! Want to know what it’s like on board a Princess Cruises Ship? READ: My Princess Cruises Review aboard the Regal Princess! Having done a couple of Mediterranean cruises before I was incredibly excited for this new itinerary. 6 countries in 9 days all with so much charm I was yet to discover. 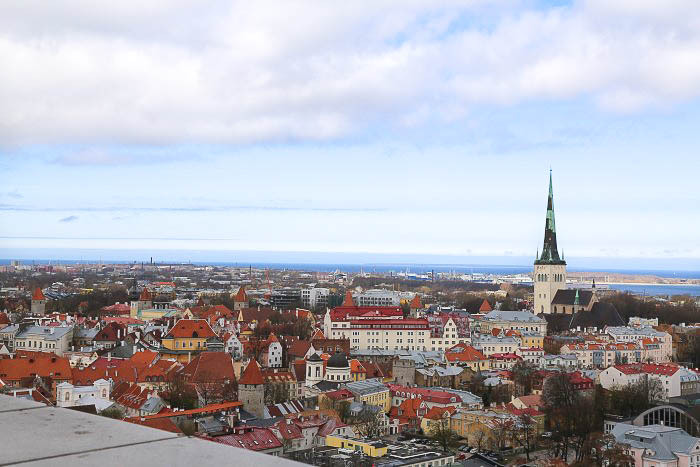 I must admit I’d never thought to visit Estonia before, but our first destination docked in Tallinn – the country’s capital – and it was so cute! Cobbled streets with a walled old town and real gothic feel. 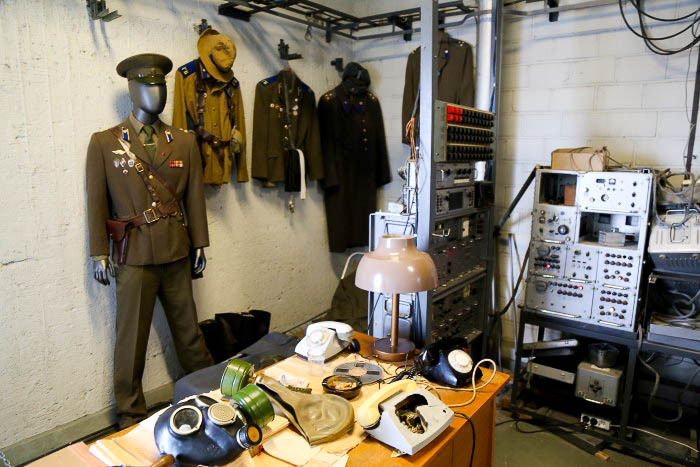 We took a trip to the KGB Museum which actually turned out to be really interesting! Held inside the Hotel Viru the museum itself is tiny, more of a guided personal tour than a lavish museum with swanky displays and info points, but it’s fascinating. Our guide led us up to the secret floor once used by KGB spies and told us stories of how they bugged the walls, phones and even side plates inside the hotel! 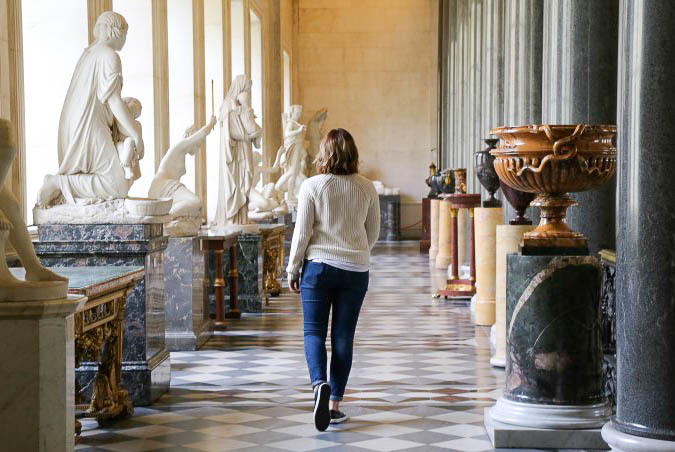 Entry costs 11 euros and lasts around 45 minutes to an hour and we managed to simply rock up and get in on a tour but you can also book online – it’s worth a stop off! 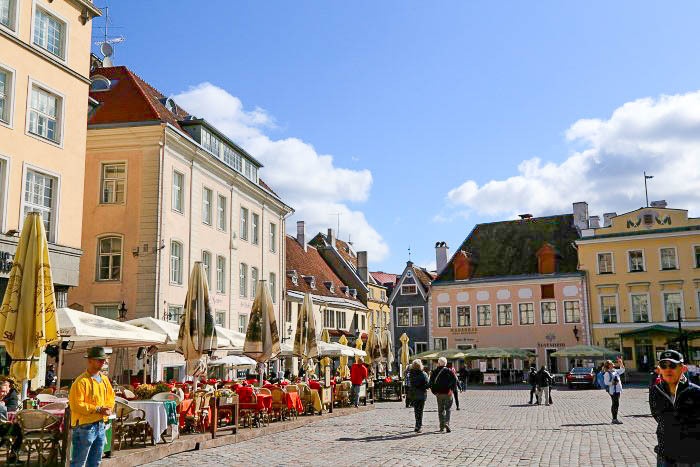 The main square is lovely for a coffee in the Estonian sunshine. It reminded me a lot of Krakov in Poland with stunning architecture, wide cobbled streets and friendly people! Although do be prepared to pay top mark for your drinks in the main square as it’s a popular spot indeed. 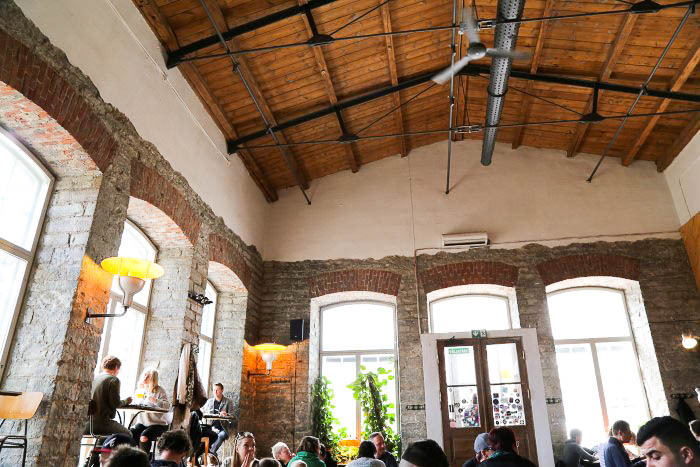 If you fancy something a little different to explore then you can hop in a taxi to the hipster area of the city where we found a cool place for lunch in Tallinn – F-Hoone. 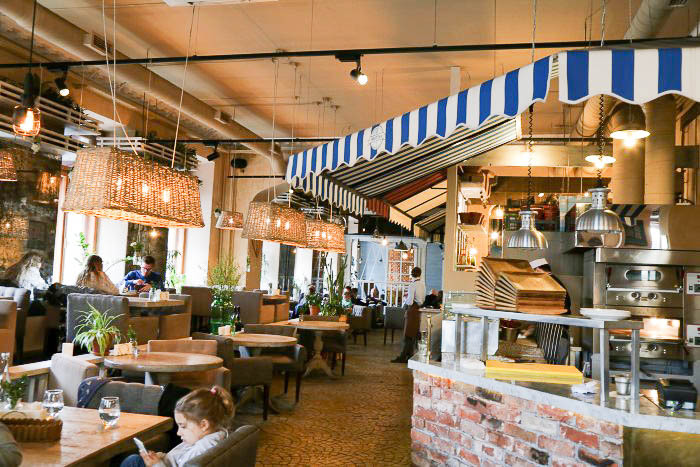 With super reasonable prices, delicious traditional and fusion dishes and an epic desert menu, this is certainly the place to eat in Tallinn. Around F-Hoone just a short walk away you’ll find the old markets and a very cool little building with some pop-up shops, perfect for a spot of scandi shopping. Vintage dresses, local jewellery designers, cool homeware and more. Just make sure to leave room in your suitcase! 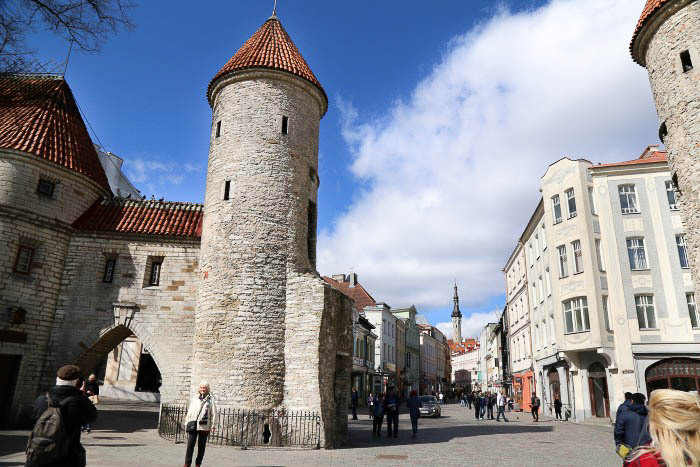 Tallinn is a pretty cool little place to explore – definitely do this one on your own and take it at your own pace. 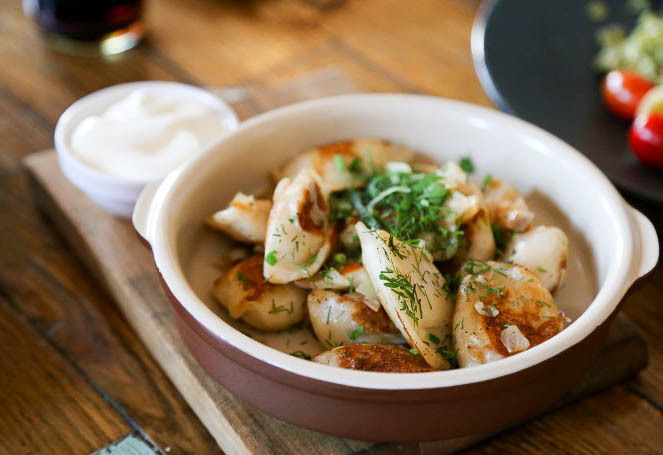 Make time to find a viewpoint and look out over the city and try some of their Estonian Piroukad – delicious little pierogies you don’t want to miss! Russia. One of the big pulls on this trip for me! It’s a tricky country to get into and usually your visa will set you back around £60-80 but if you book a tour with Princess they sort all of this for you so you’re able to head off and on the ship as you please – just watch out for the queues and possibly an interrogation at the passport window, we are in Russia after all! 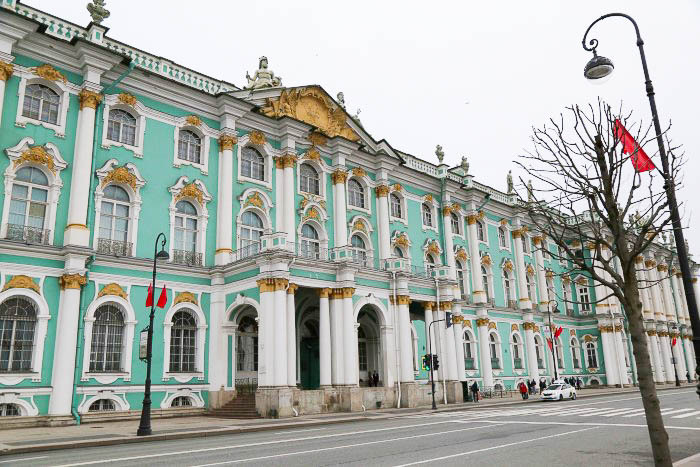 We started our time in St Petersburg with a trip to The Hermitage Museum – the largest Museum in the world! Now I’m not usually a huge museum person despite having visited a number in my time! 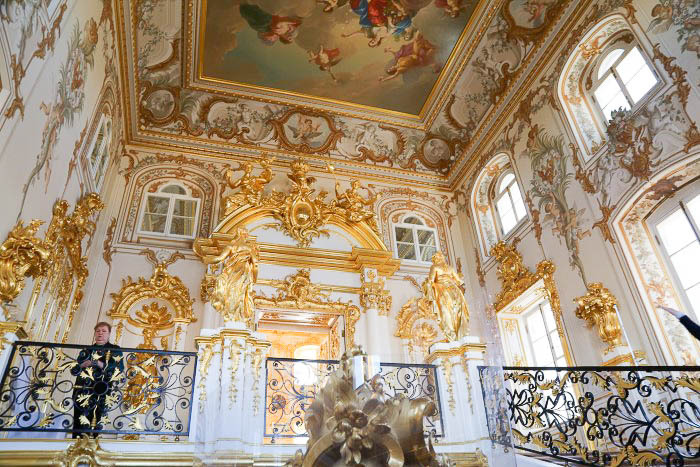 But I have to say that The Hermitage was fascinating and I thoroughly enjoyed our visit. 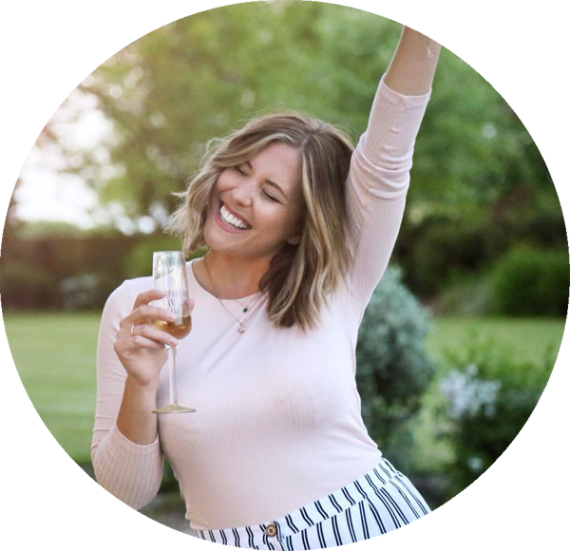 It does get incredibly busy however so they offer a limited number of early entry tickets – these are well worth investing in if you can get hold of some. It was like having the entire place to ourselves for an hour which is great for photos and taking on information from your guide. 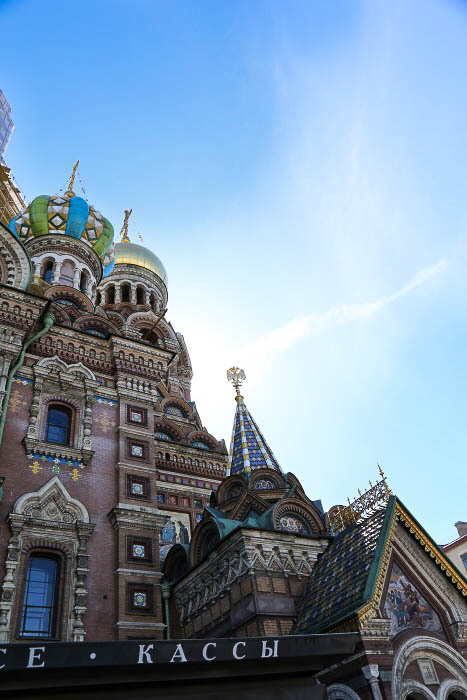 In the evening as we were docking over night, we booked another shore excursion – The Russian Ballet! 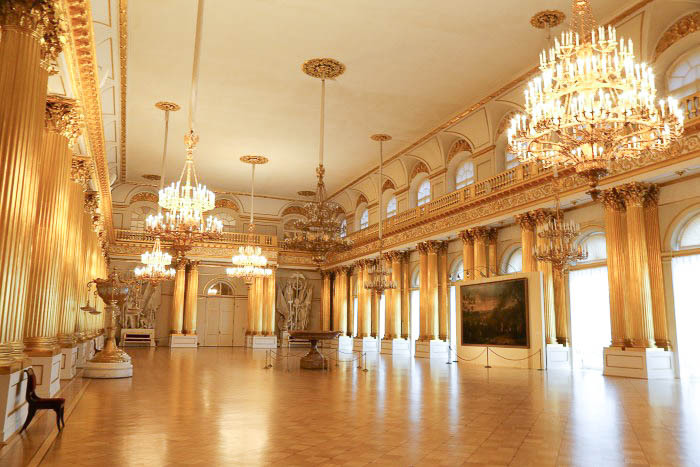 We made our way to the Alexandrinsky theatre in St Petersburg to watch Swan Lake with a gass of fizz and felt very special indeed. 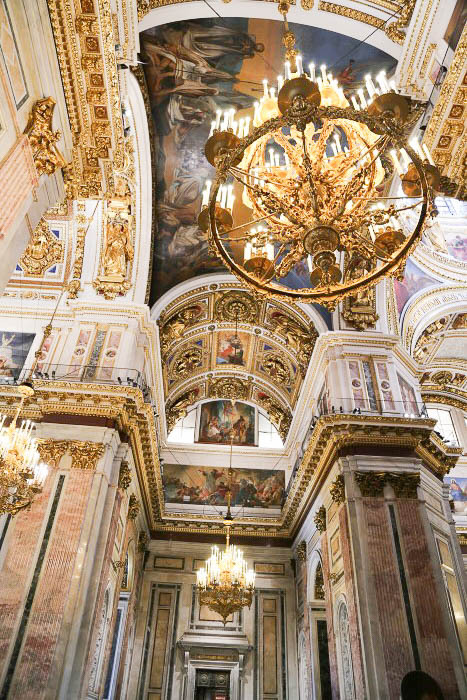 This excursion is amazing if you’re stopping in St Petersburg on your cruise, what an experience you don’t want to miss! 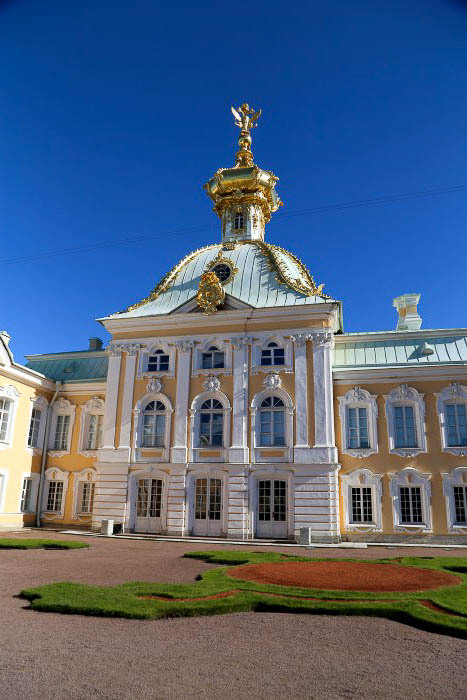 The next day we visited Peterhof Palace, a stunning house around 40 minutes outside of St Petersburg’s centre. 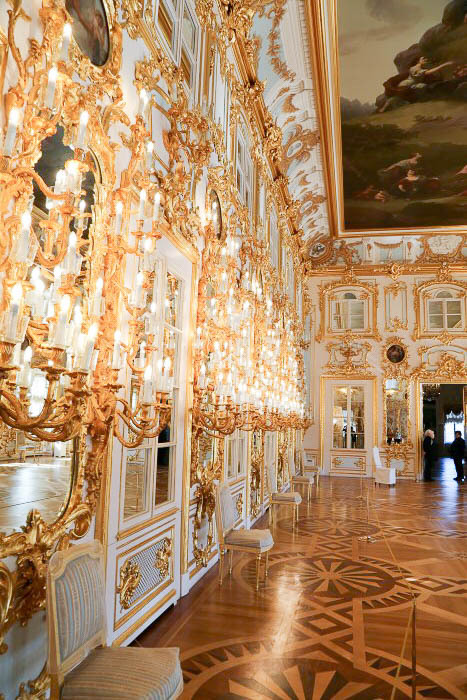 Peterhof gets super crowded so be prepared to be shuffled along by the babushkas and take your photos fast! 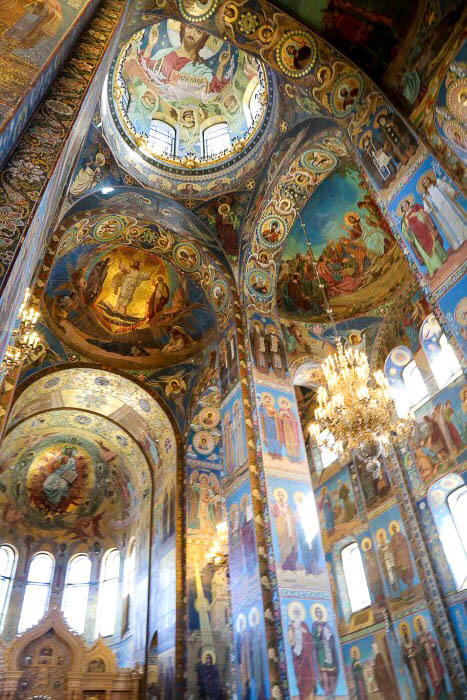 On our tour I adored visiting the Church of the Savior on Spilled Blood and St Isaac’s Cathedral – both were absolutely stunning. The architecture and detail in both buildings was insane. For me they even rivalled some of the cathedrals in Barcelona. 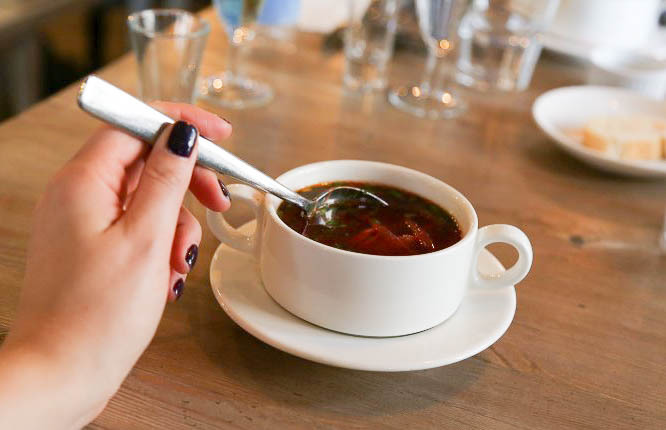 On both days we had lunch included in our tours which meant we got the chance to try some traditional Russian food – a big hobby of mine when I’m in a new country! The Russian food we had was tasty even though it didn’t look great! 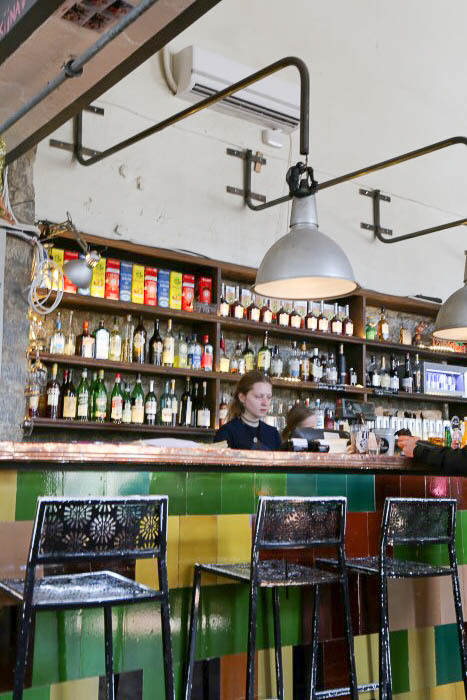 My favourite restaurant was a place called Biblioteka – super funky interiors, nice staff and well put together plates, definitely a cool place for lunch in St Petersberg if you’re looking for somewhere to eat….Just watch out for the vodka shot chasers with each course, when in Russia ey! 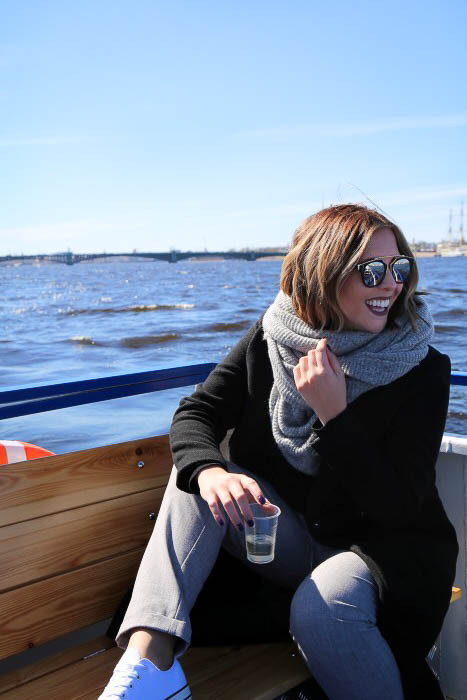 We also got a chance to enjoy a river cruise through St Petersburg which was also lovely as the sun came out and we were all given a glass of fizz to relax with as our guide talked us through the sites. 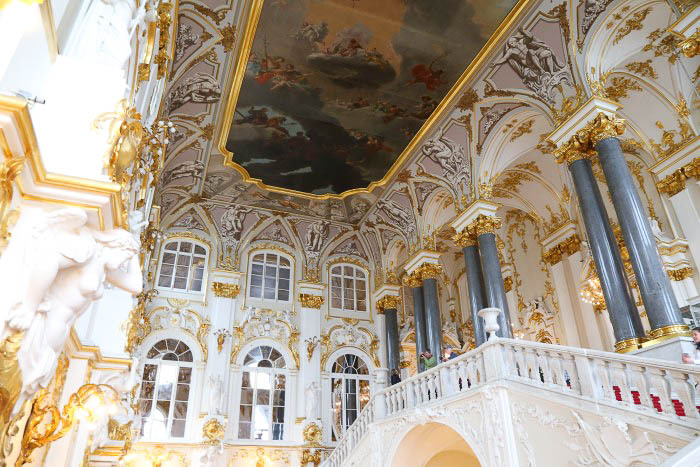 We did so much in our 48 Hours in St Petersburg, it was incredible and a real highlight of the cruise. 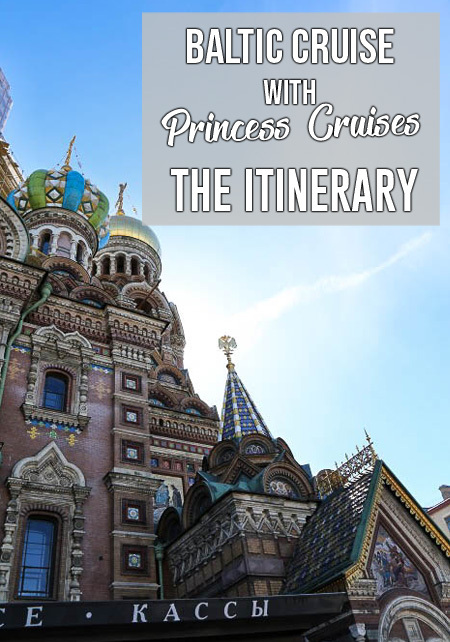 I’d definitely recommend booking a Princess Shore Excursion for Russia to get your visas and help you navigate this wonderful city. I’m gonna just put it out there: I LOVE FINLAND. It’s one of my favourite places in the world and every time I come back it fills me with instant feelings of ease. I’ve visited Finnish Lapland before on one of the most inspirational trips of my travelling so far, explored the central sauna region of Finland and spent a few days in Helsinki too! So when I saw we were stopping off here on our cruise I was very excited. 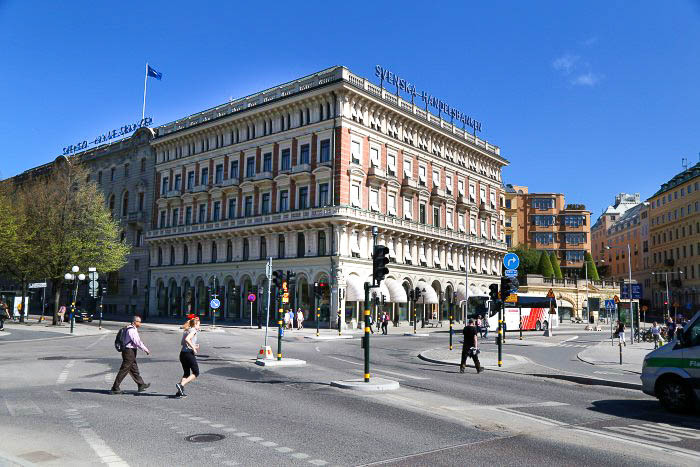 We booked onto a land and sea cruise with Princess to see as much of Helsinki as we could during our stop here. 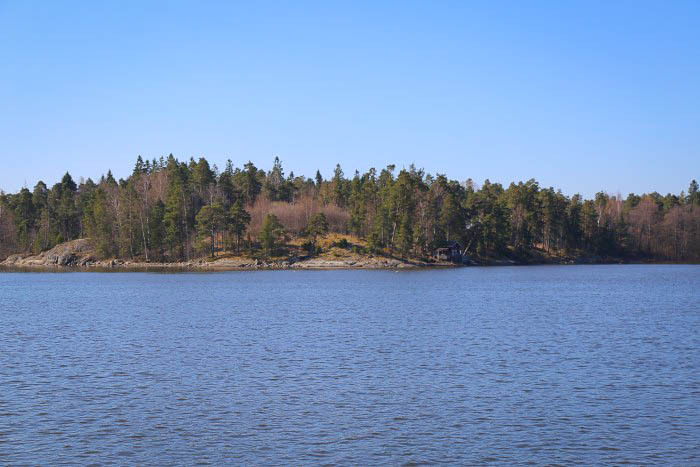 It started on a boat sailing around the city with a lovely insight into the more rural side of Finland. With quaint little red wood houses, individual wooden piers out into the lakes for post sauna dipping and lots of greenery it was incredibly relaxing floating along to water with the incredibly fresh Finnish air filling our lungs. After the first part of our tour we swapped our oars for wheels as we took to land! Stopping at some beautiful buildings and sculptures with our guide talking us through the local culture and lifestyle in the city, it was nice to see the contrasting sides of Helsinki from the bustle of the centre to the tranquil outskirts. 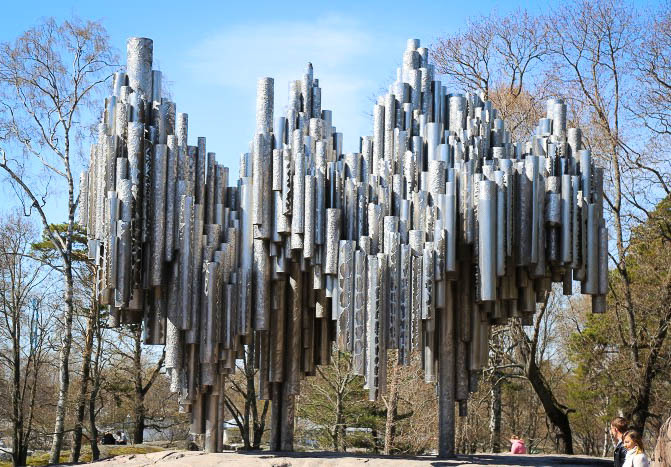 If you can, head over to The Sibelius Monument in Sibelius Park as that really is something to behold, and check out some of the open air markets near the water for a Cinnamon bun and a nice hot coffee! Of course one of the big cultural activities in Finland is Sauna and there are plenty of places to try it in Helsinki. My favourite is Löyly, a super modern and uber cool public sauna in the centre. 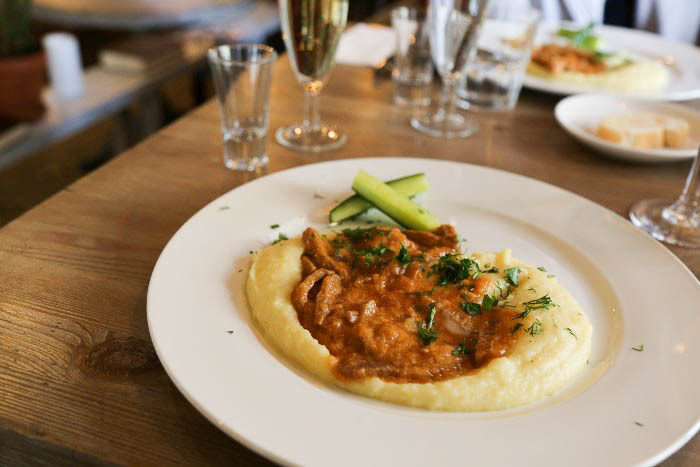 Book in advance on their website to come down for a session – A two-hour booking for the sauna costs around 19 euros – and their restaurant has awesome food too for a spot of lunch. Sauna is a way of life in Finland, so I think it’s a fantastic thing to do during your stop in Helsinki. The Find believe the sauna draws out not only physical toxins, but mental ones too and most big decisions are made in a Sauna. Give it a go, see how you feel…and enjoy that post-sauna beer too! Personally for this stop I think it’s best to explore on your own instead of booking a tour. 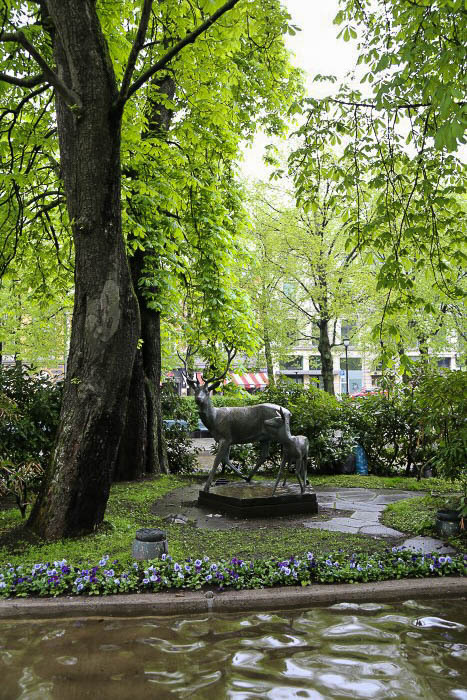 Walk around, use the trams and get a feel for the Finnish capital. 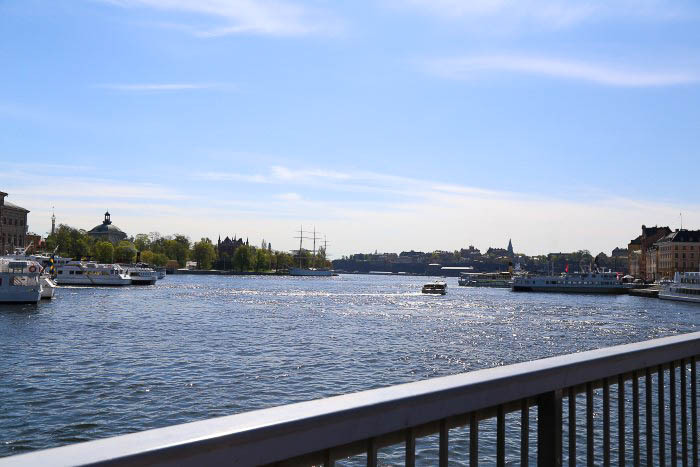 Stockholm is another city I’ve wanted to visit for such a long time, so when I saw it on the itinerary I was a bit giddy! 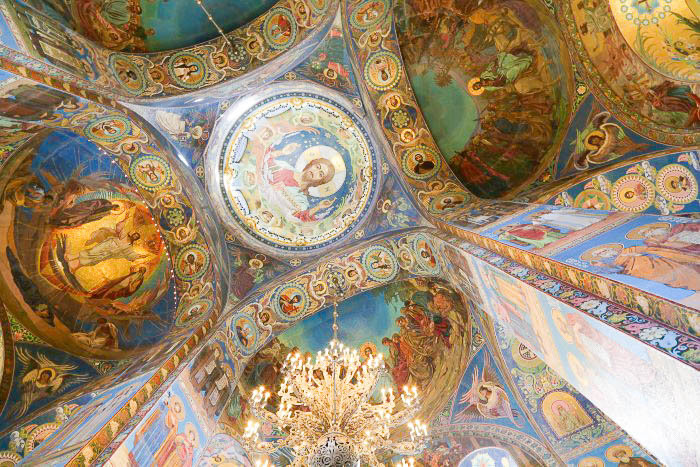 I’d head wonderful things about the architecture, the people and most importantly – the food! So getting a whole day to explore was such a treat. We went it alone again for this one instead of booking a tour and I’m glad we did, there’s so much to see! 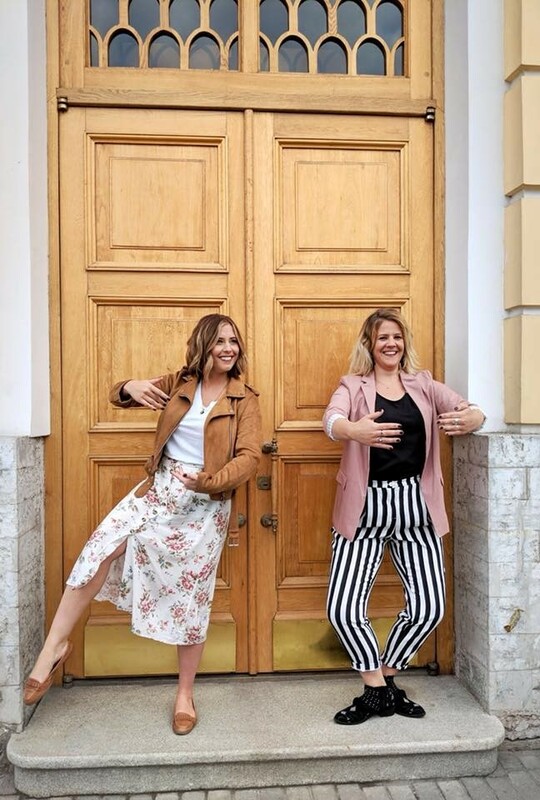 For the ABBA fans amongst us there is of course The ABBA Museaum in Stockholm which I have to say looks like a lot of fun! 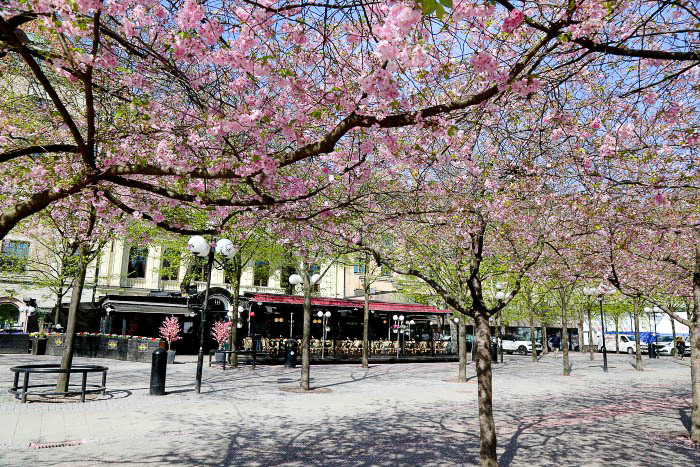 But instead we chose to spend our time exploring the beautiful cobbled streets of the old town and the cherry blossoms which had just bloomed in the city centre. 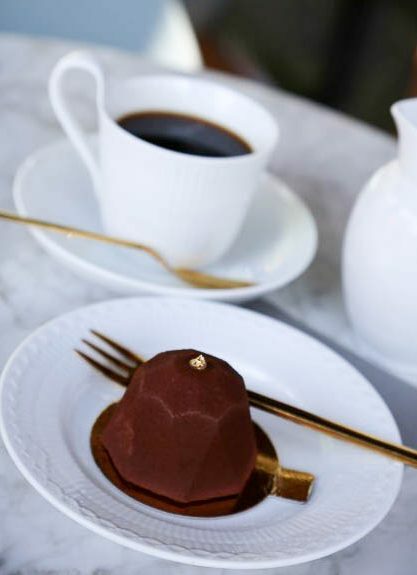 In Sweden they Fika, so we did too! 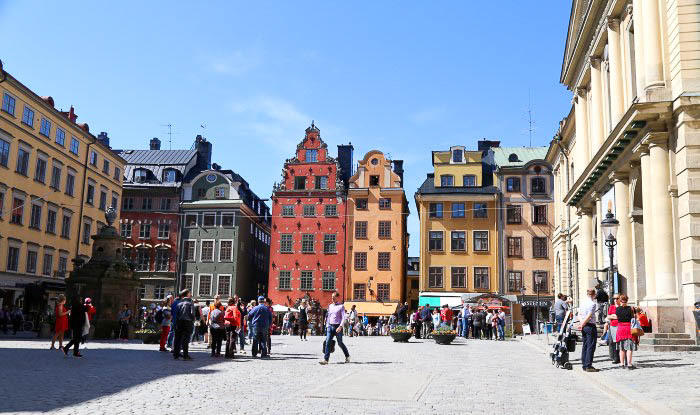 Fika is a Swedish term for having coffee and cake with friends, and there’s plenty of pretty places in the old town to Fika! 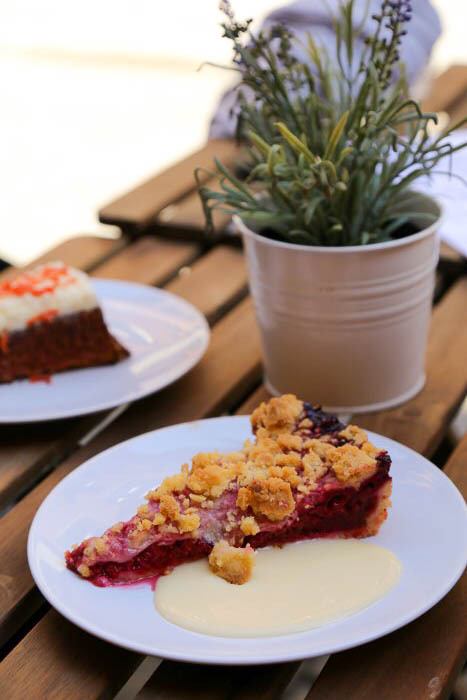 It’s such a lovely concept and we just couldn’t resist – especially with a big slab of blueberry pie! Food was a big pull for me visiting Stockholm and I was right to be excited by it. 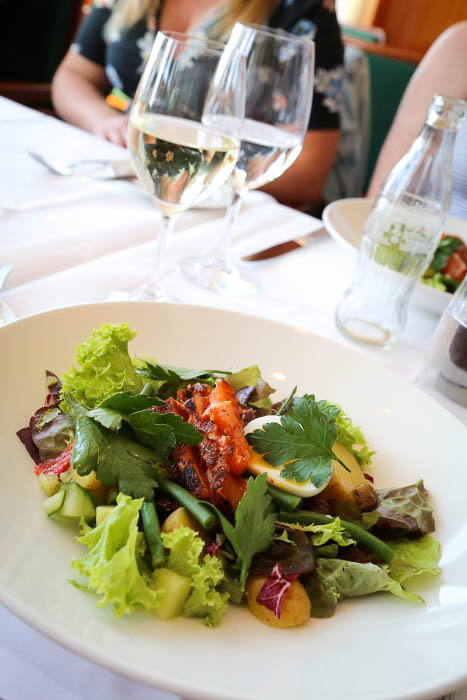 The flavours are so fresh, as is the fish and if you’re lucky with the weather like we were there’s nothing better than sitting outside in the sun with a cold glass of wine and some gravlax. 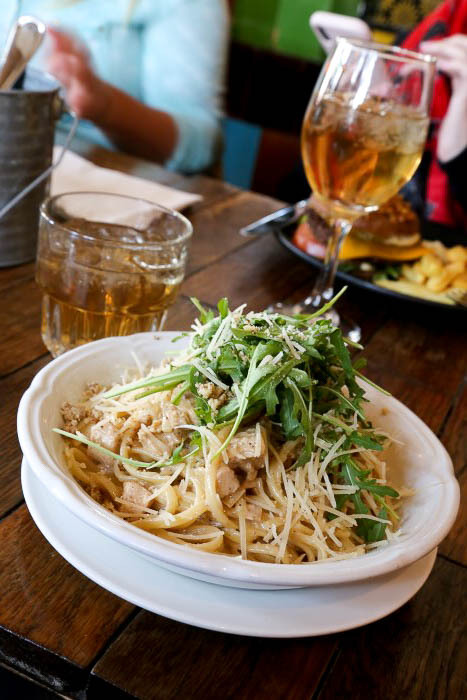 If you’re looking for a good spot for lunch in the city then Erika Gondolen is a real winner. 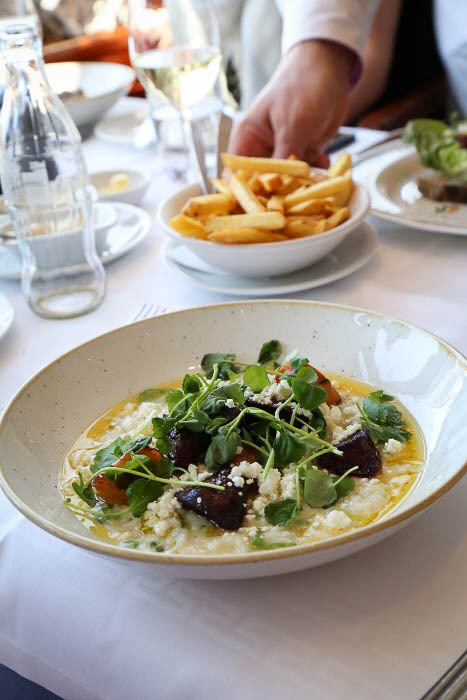 With panoramic views of the city and top notch nosh, grabbing a table there would be a big recommendation from me. I loved our time in Stockholm and I cannot wait to come back. It’s certainly one of the cities on our itinerary that has sparked even more wanderlust in me after having a taster with Princess. 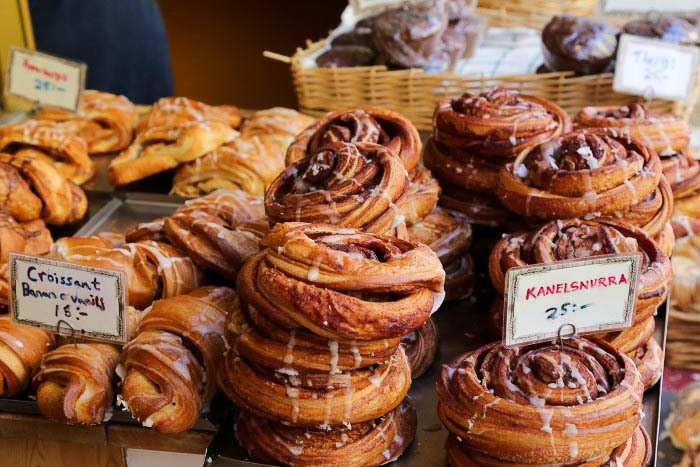 As with a lot of Scandinavian countries it’s a pricey one, so make sure you take some extra spending money so you can really enjoy yourself…and eat lots of cake! 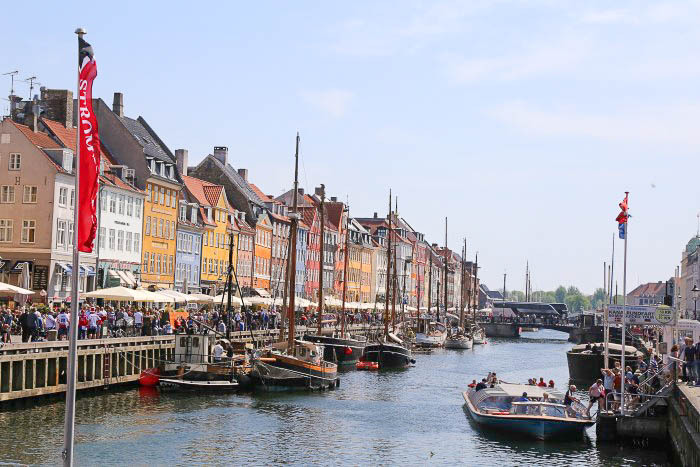 Our last big stop on the cruise was Copenhagen, another place I’ve wanted to visit for a while. For this we booked a private tour around the city….by bike! I’ll hold my hands up and say I’m not the best biker in the world but these were electric and so much fun! 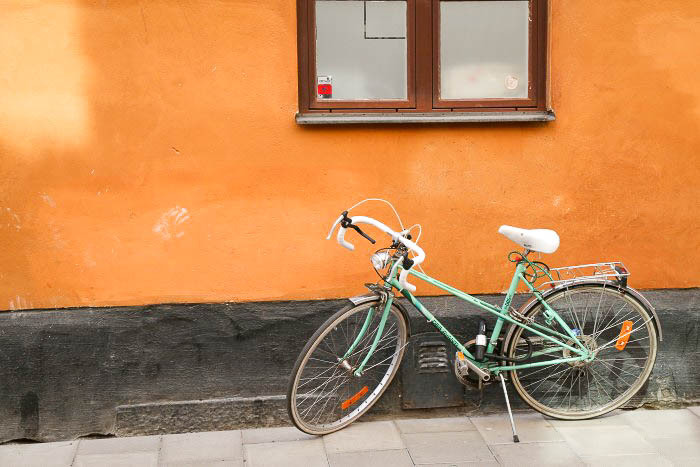 Copenhagen is a great city to bike around and the cars and people are incredibly considerate so even if you’re a little nervous, definitely give this a try. 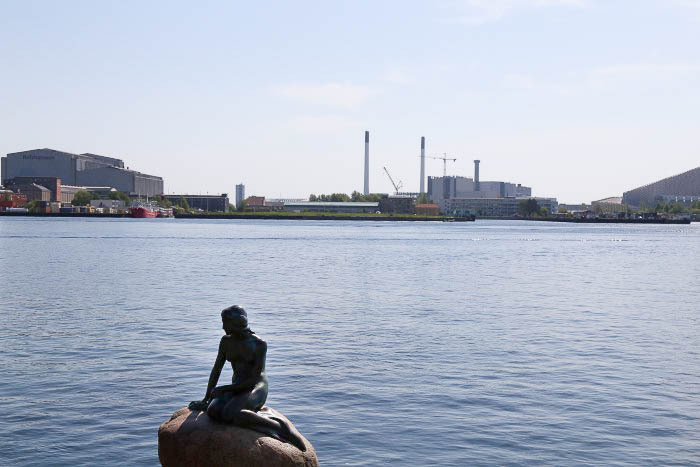 On our Copenhagen bike tour we saw a few landmarks of the city including the Little Mermaid, which was a lot smaller than I imagined it would be! 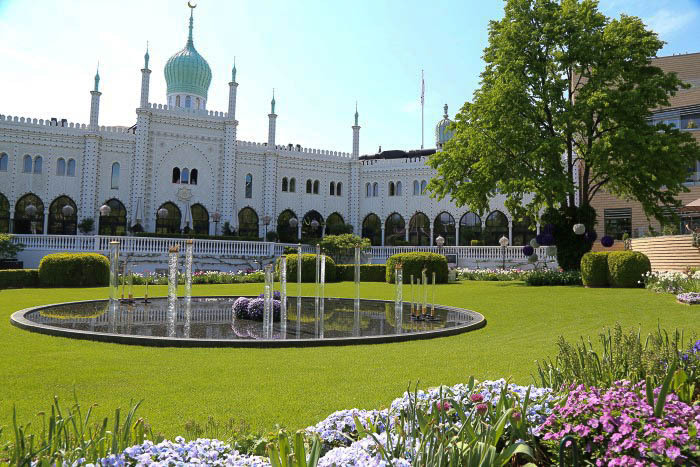 The royal residences were incredibly open and you can walk right into their courtyards – it’s quite interesting to see, and after that we made our way over to Tivoli Gardens which I think are a must if you’re visiting Copenhagen. First of all they’re absolutely stunning with beautiful gardens, flowers and trees. 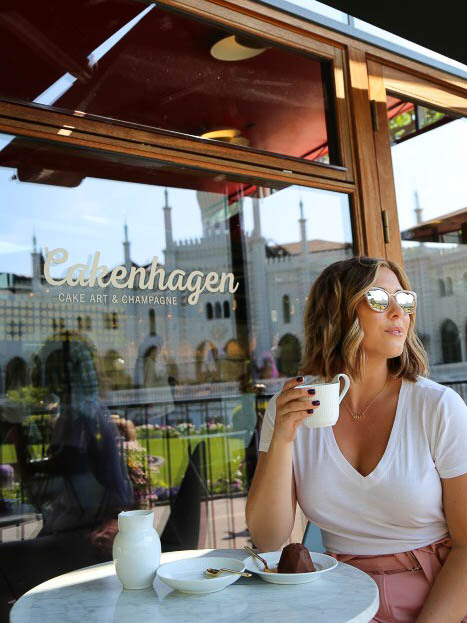 They also have some adorable cafes to sit with your coffee – we especially loved Cakenhagen for a delicate cake and cup of the good stuff! 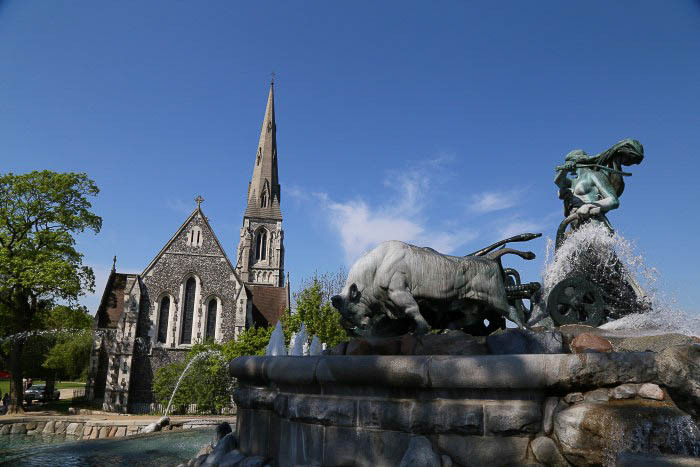 Well worth a visit, especially on a sunny day. Our time in Copenhagen whizzed by and as we cycled back to the ship I really felt like we’d done so much on our little two wheeled adventure! What a great way to see the city! Didn’t get much time in Oslo as we were departing mid-route but if you’re booking this cruise you’ll have time to explore and see the city. 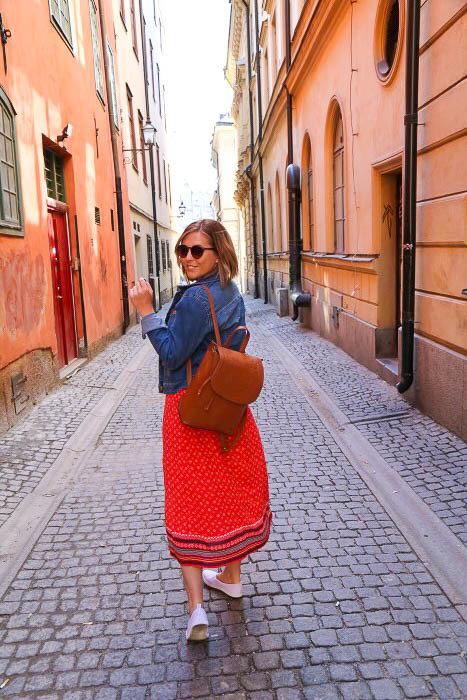 Take a look at my travel blogger buddy Vicky Flip Flop’s Weekend Guide to Oslo for some ideas on what to do during your time there. We just about had time for a coffee and some people watching at a local vegan cafe before it was time to head to the airport, but we did see some awesome looking floating saunas around near the library if you’re brave enough to give those a whirl! We had two full at sea days during our trip which were much appreciated after lots of walking and exploring in our city stop offs! 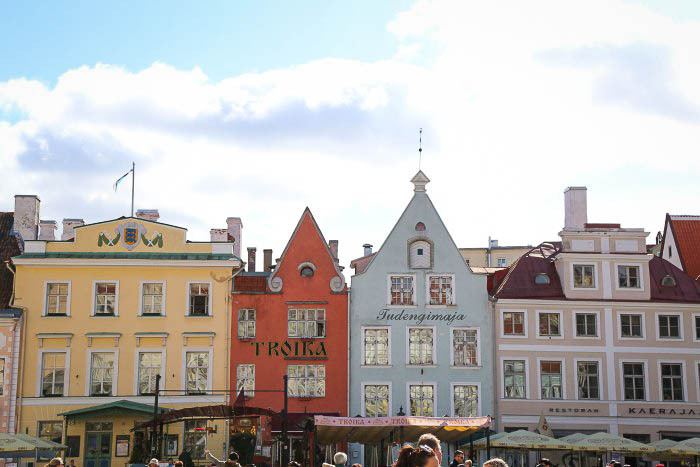 I’d never thought about doing a Baltic cruise before but it was incredible. I got to see so many cities and countries that have been on my bucket list for ages and yet I’d never got round to visiting. It was a fantastic way to taste lots of new places all in one week and the amount of new experiences we crammed in was astounding! 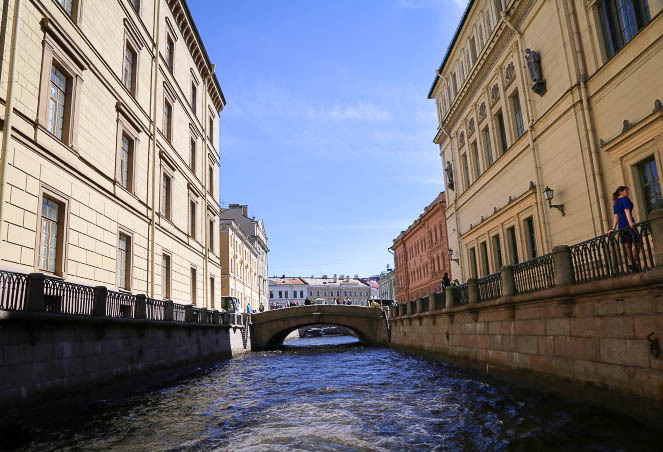 I love a Mediterranean cruise for relaxation and a good re-charge, but for exploring new cities and a sense of adventure, it’s Baltic all the way! Find your next cruise with Princess Cruises here! *Paid collaboration with Princess Cruises. All photos and opinions are my own – I absolutely loved seeing a new part of the world from the comfort of our cruise ship, well worth booking!